Sumner will return to South Africa to play in the match just two weeks after gaining football’s highest honour. During the FIFA Congress in South Africa on June 9 and 10, Sumner will receive the FIFA Order of Merit. The two teams will play for a trophy called the Unity Cup and their line-ups will include celebrities, famous former footballers and Special Olympics athletes. The match is set to be played before an international audience of thousands and its aim is to encourage everyone involved to reject stereotypes, prejudices and misconceptions, and replace them with an attitude of inclusion, acceptance and diversity. “I am humbled and extremely privileged to be receiving the FIFA Order of Merit when I look at some of the great names who have received this honour in the past,” says Sumner. 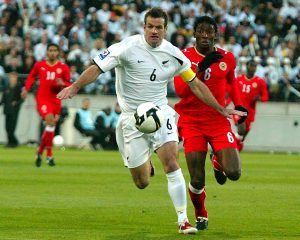 Representing New Zealand alongside Sumner will be North Harbour Special Olympics centre forward Mark Liggins. The 36-year-old took up football at the age of 10 and has been playing seriously for the past five years. He will travel to South Africa with Sumner and his coach, Kevin Hodges. “Athletes weren’t chosen from all the countries that qualified and we are, of course, absolutely thrilled that one of our footballers will be playing in the match,” says Mike Ryan, Special Olympics New Zealand national sports and coaching director. Each squad will contain seven Special Olympics athletes and seven celebrities. 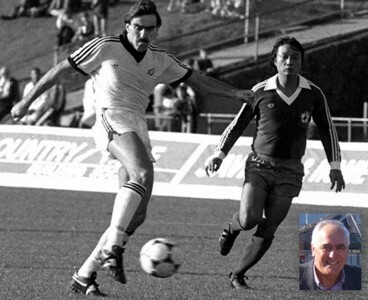 Sumner, who captained New Zealand at the 1982 FIFA World Cup in Spain, will be joined by FIFA ambassador for Oceania Christian Karembeu and fellow notable names like Clarence Seedorf, Alan Shearer, Lucas Radebe, Abedi Pele, Kevin Keegan, Hidetoshi Nakata, Alex Aguinaga and Teo Cubillas. South African President Jacob Zuma will also be involved and the game will be televised around the world.